When Elwood P. Dowd starts to introduce his imaginary friend, Harvey, a six-and-a-half-foot rabbit, to guests at a society party, his sister, Veta, has seen as much of his eccentric behavior as she can tolerate. She decides to have him committed to a sanitarium to spare her daughter, Myrtle Mae, and their family from future embarrassment. Problems arise, however, when Veta herself is mistakenly assumed to be on the verge of lunacy when she explains to doctors that years of living with Elwood’s hallucination have caused her to see Harvey also! The doctors commit Veta instead of Elwood, but when the truth comes out, the search is on for Elwood and his invisible companion. This fantastic comedy will make you wonder who among us is really sane. Mary Chase’s "Harvey" has been delighting audiences for 70 years. As long as a production lets the story come through, audiences will be entertained. New London Theatre’s production is certainly doing that. Director Scott Piehler has cast the show well and has added moments not laid out in the script. Some moments, such as Elwood P. Dowd (Philip Mertz) slicking Harvey’s ears and scratching his belly and/or back for an extended time, don’t really work. Others, such as romantic looks shared by Myrtle and Wilson (Jenny Wincek & Dalton Titshaw) and by Nurse Kelly and Dr. Sanderson (Lauren Quesnel & Paul Franklin), work extremely well. All the actors bring energy to their roles, but none give quintessential performances. My favorite is probably Doug Schendel, as Dr. Chumley, but his big Akron monologue sequence falls a little flat. Nicole Ojeda-Johns, as his wife, has a couple of idiosyncratic line readings that work extremely well. Lucien Lockhart and Andy Hoeckele hold their own in their single-scene performances as Mrs. Chauvenet and the cab driver. Costumes, by Dawn Berlo, are terrific, as are most of the 1940’s hairstyles. Angela Van Tassel’s hair is a little too short and modern for Veta Louise, with a couple of wing-like curls at the top not giving a convincing 1940’s feel, but the hair standing straight up after Veta runs her hand through it works beautifully well when she returns home after being accosted (at least from her perspective), stripped naked, and thrown in a tub. The uncredited set design is pretty ugly. Wall segments on wheels are used to create the two settings (Dowd parlor and sanitarium lobby), resulting in walls with uneven lines and parts of one showing through the other. The paint job for the parlor is also splotchy and unattractive in its color selections. But it’s the action going on in front of the set that maintains interest, and the set works fine to accommodate the action’s flow. Mary Susan Moore’s props, John Berlo’s lighting design, and Scott Piehler’s sound design all enhance the production. "Harvey" flows pretty well at New London Theatre. Everyone seems pretty secure in their lines (aside from a couple of stumbles by Ms. Van Tassel), with Mr. Mertz fluidly (if inexpressively) getting through his large line load. His physical appearance and line delivery reminded me of a combination of Harry Anderson (TV’s "Night Court") and Jim Parsons (TV’s "Big Bang Theory"), both of whom have played Elwood P. Dowd in professional productions. 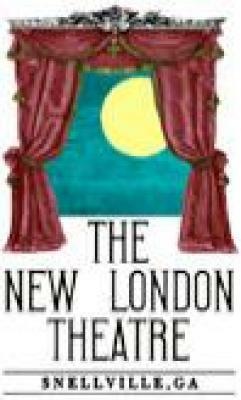 New London’s is not a professional production, by any means, but it does the job of entertaining the audience.